Ah yes, the smell of summer is in the air and with that comes the excitement of summer proposals. Although summer isn’t the most popular time to propose, (that would be winter, more specifically, Christmas Day), it is when many who are hoping for a summer wedding wish they would be proposed to. Typically speaking, planning a wedding takes roughly a year, so whichever month you decide to propose often times determines the season of your upcoming nuptials. This is because most vendors require you to book at least a year out. Instead of using a cliche holiday like Valentine’s Day or your significant other’s Birthday to pop the question, try finding a special date that the two of you can celebrate and reminisce on each year. There is no right or wrong time to propose since it is so personal to each couple. 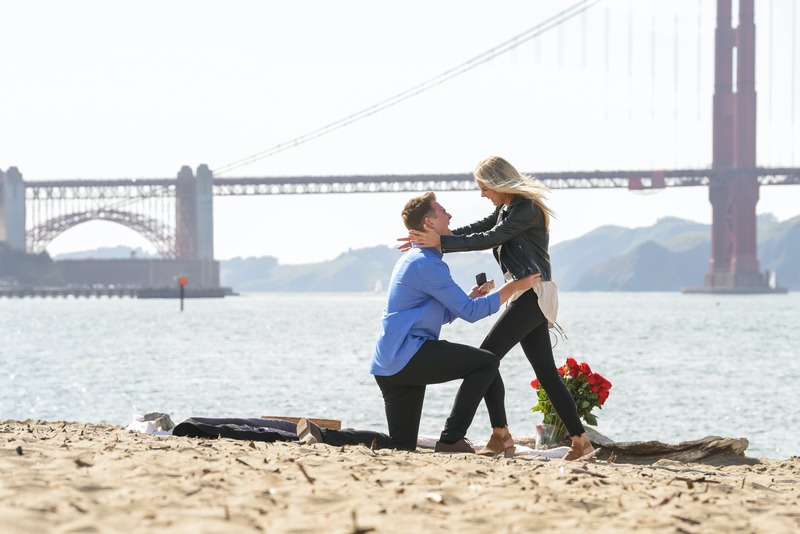 Perhaps hinting to find out if a snowy white proposal vs. a beach proposal is something your person might prefer and working off of that. Are you planning an upcoming trip with just the two of you? That might also be a great time to get down on one knee. Does your love like being the center of attention? If so, do we dare suggest a dance mob as part of their ultimate proposal. On the flip side, a more reserved, private person might just prefer a quiet in home proposal. One helpful tip that can make a lasting impression is finding out if having family nearby is important to them once they do get proposed to. Meeting up with both of your families can be the grand finale to a wonderful day! Whatever the type of proposal or time of year you decide, when it comes from the heart there is little else that matters.